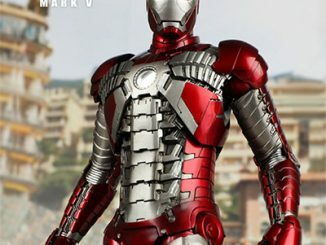 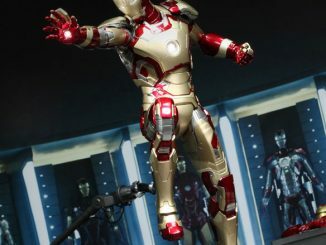 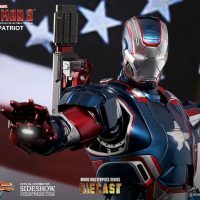 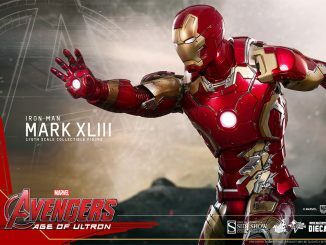 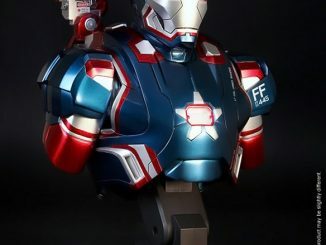 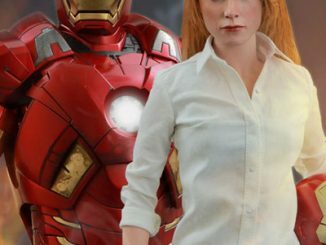 The moment has finally come for a certain armored warrior to finally get the full-body treatment as the Iron Patriot Diecast Movie Masterpiece Series Sixth Scale Figure offers up a detailed, head-to-toe look at Iron Man’s patriotic ally. 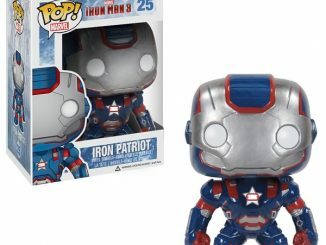 In the past, we were treated to the Iron Patriot Collectible Bust but the only collectible that offered a look at the total package was the Iron Man 3 Movie Iron Patriot Pop! 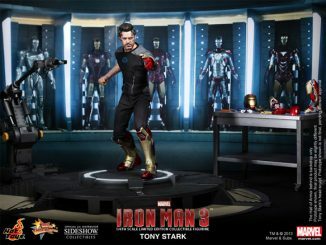 Vinyl Bobble Head… which isn’t bad, but it lacks that ‘exploding off the big screen and into your house’ look. 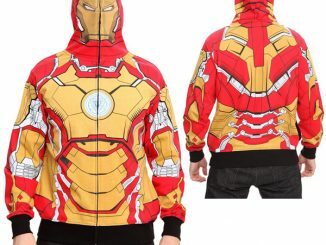 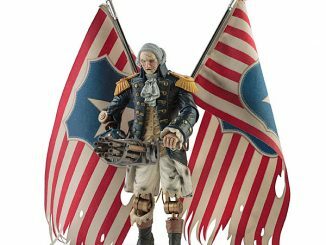 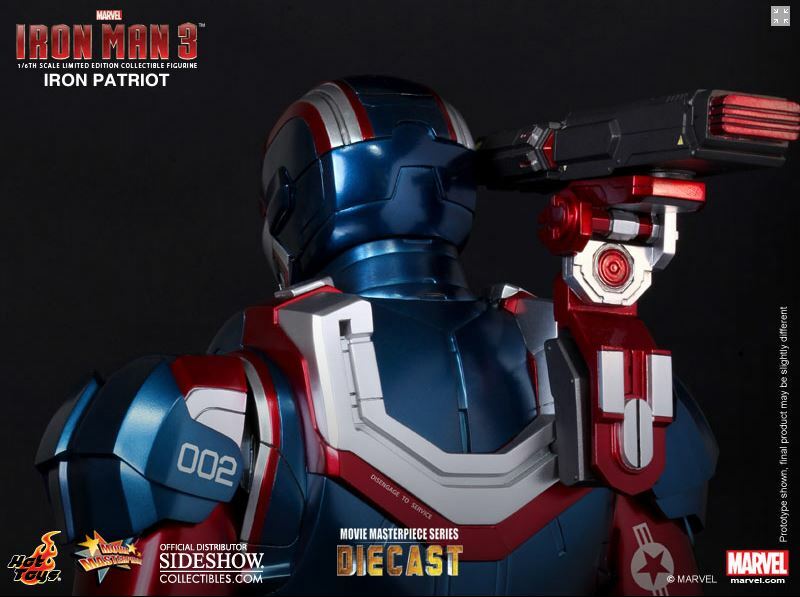 This new figure, which is part of the Movie Masterpiece Series, will have you thinking Jim “Rhody” Rhodes just took a break from the action in Iron Man 3 to stop by your place for a drink. 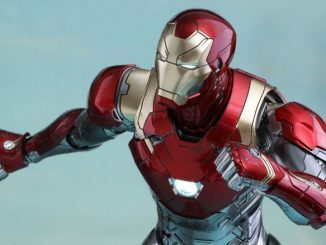 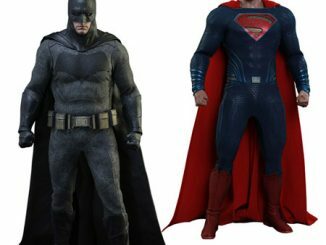 The helmet’s flipped-up faceplate even reveals a peek at Don Cheadle inside the armor. 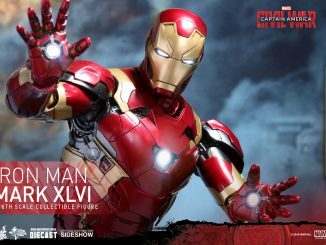 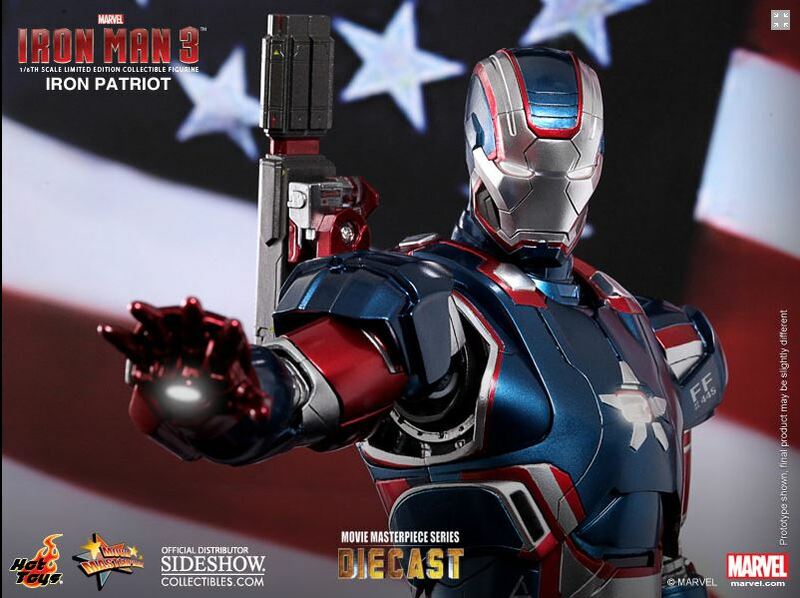 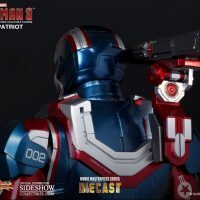 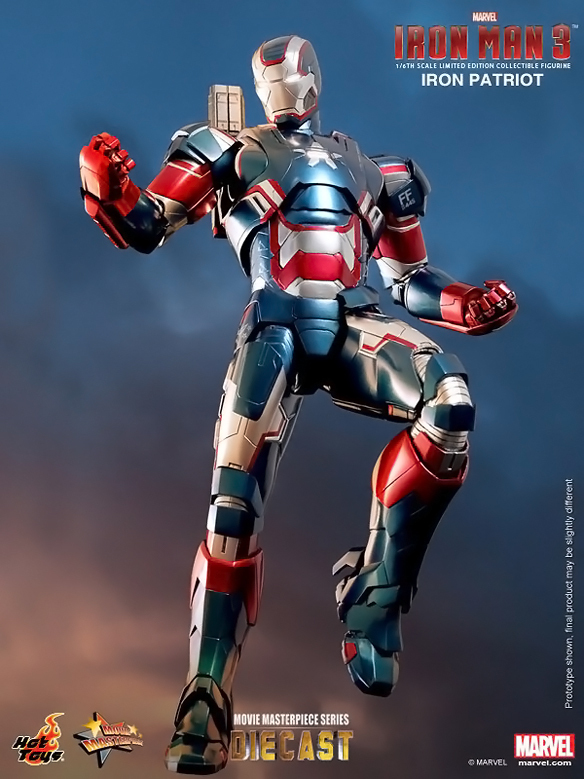 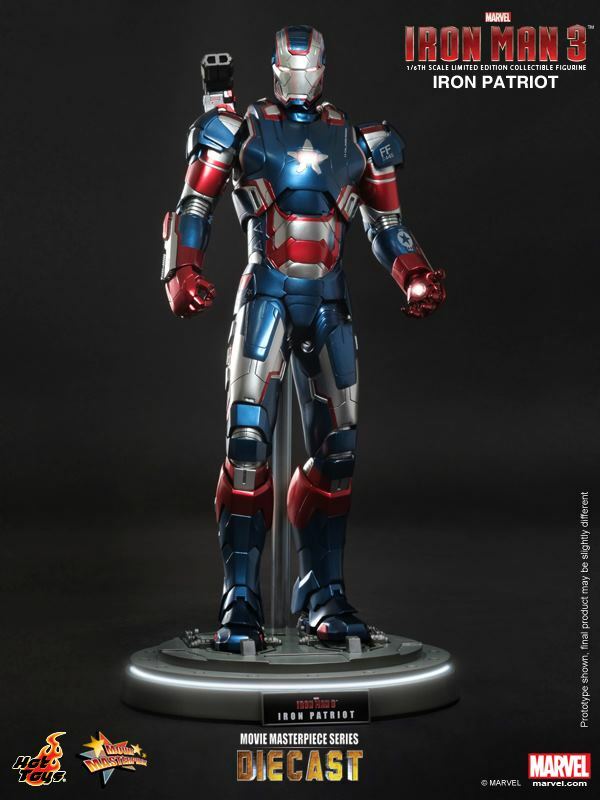 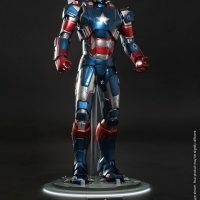 The Iron Patriot DIECAST Movie Masterpiece Series Sixth Scale Figure won’t be available until November 2013 but you can pre-order now for $309.99 at Sideshow Collectibles.